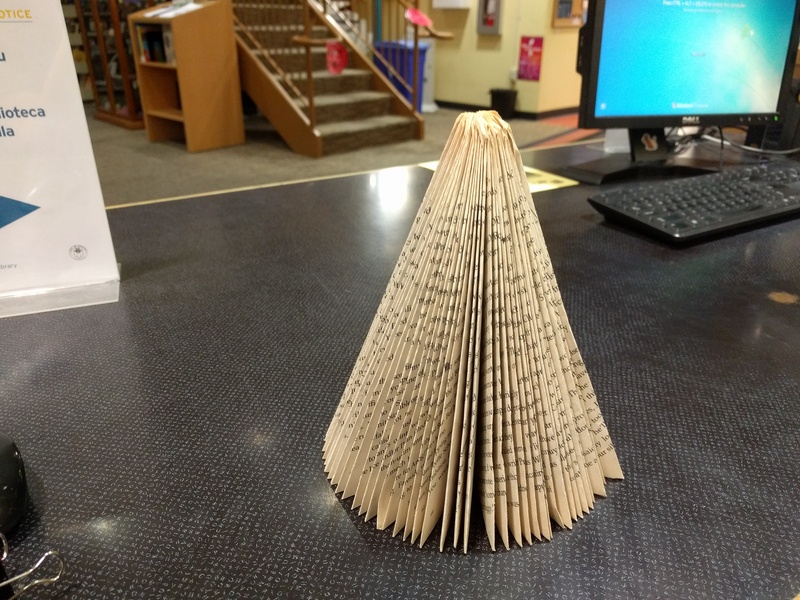 It is snowing in the library! 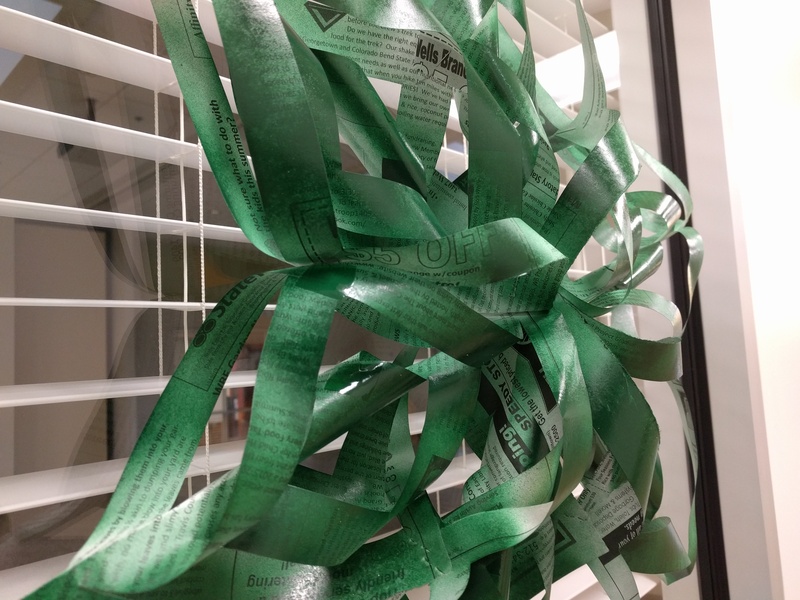 This week I got to make some great bookart holiday decorations that I wanted to share. 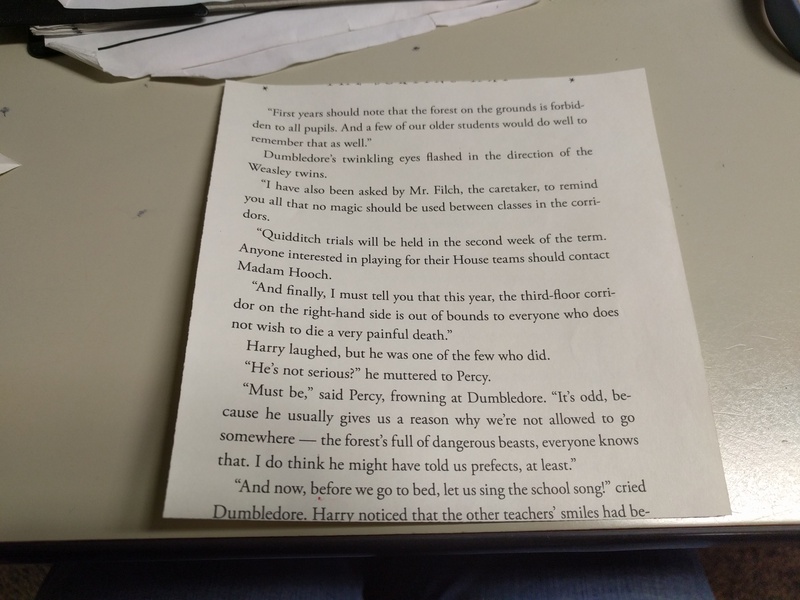 First I made this totally secular (hmmm….) tree. Very simple, though a little monotonous and time consuming. This tree took me about 45 minutes. But it is the perfect activity for when you need to turn your brain off. 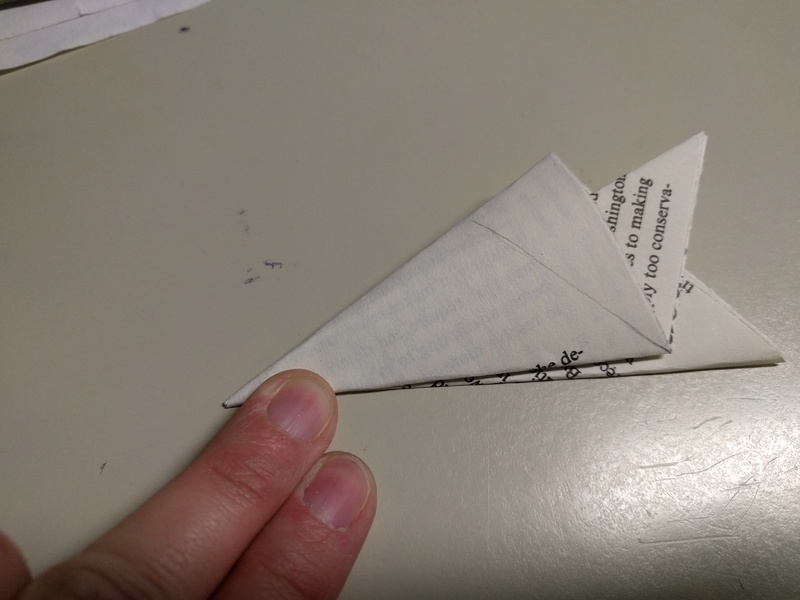 These are the instructions I followed. 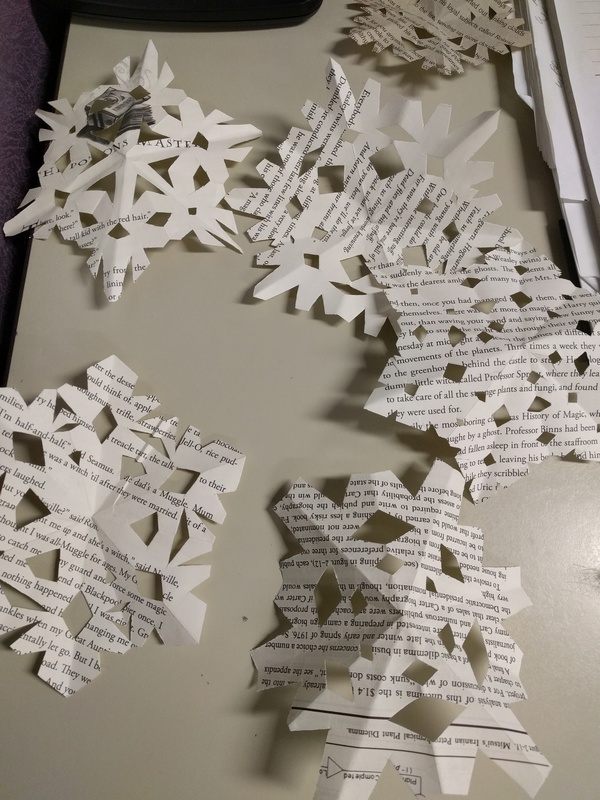 Then I got to make these lovely snowflakes from weeded books. 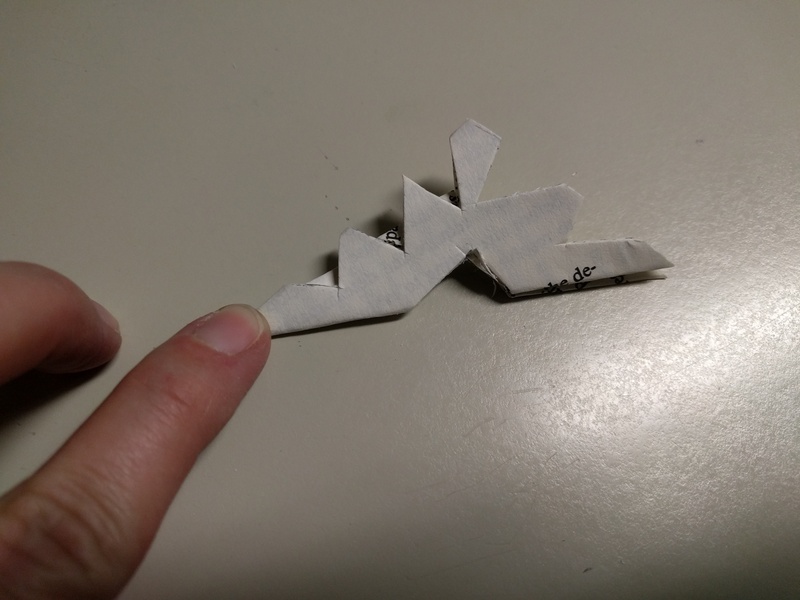 I was told how to do this so I took pictures and will include the steps here. 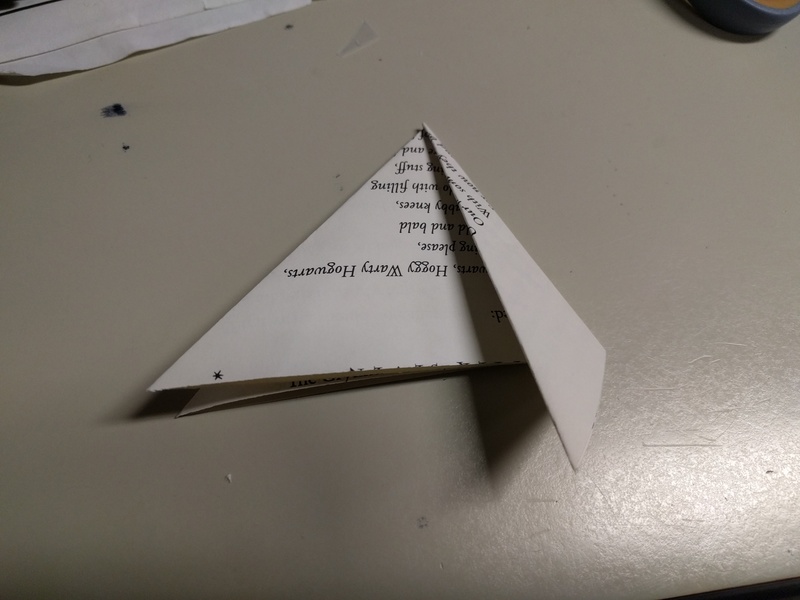 Fold that in half to make a triangle. 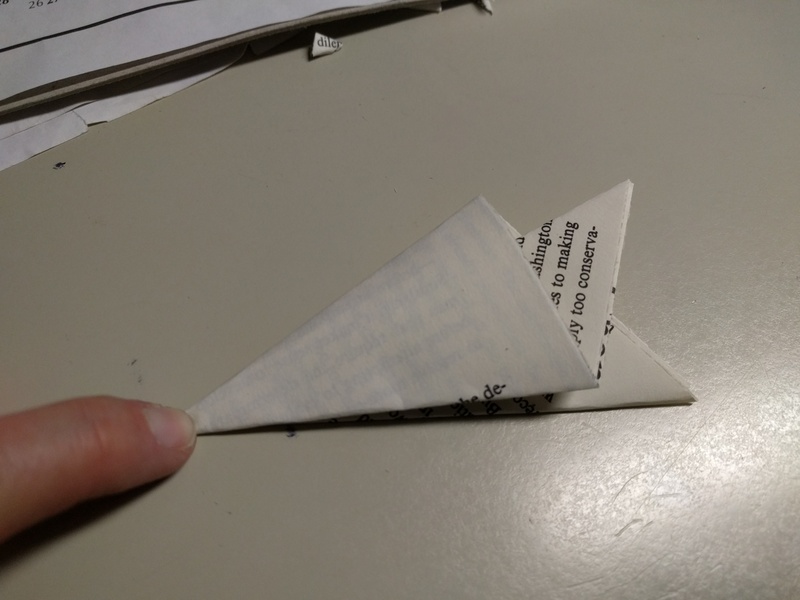 And fold that in half again making a smaller triangle. 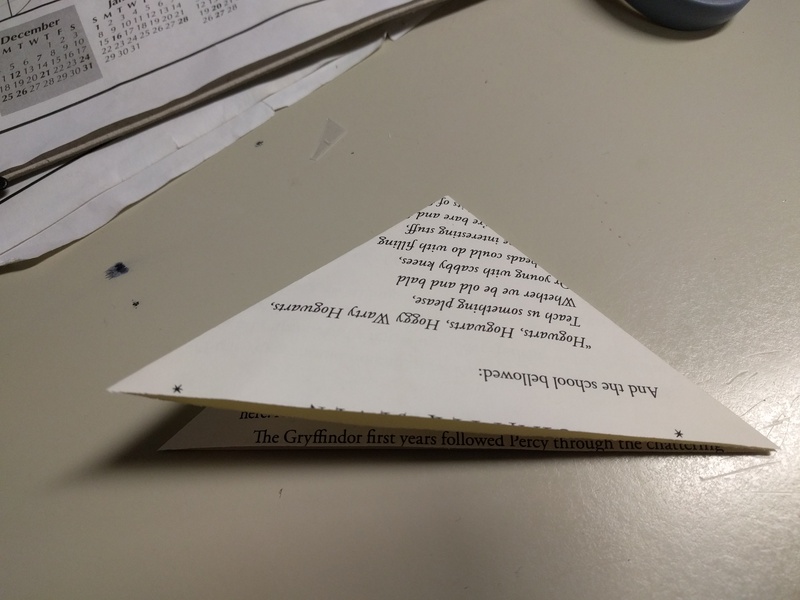 Now visualize a line that would make a smaller triangle. Here I have drawn it for you. 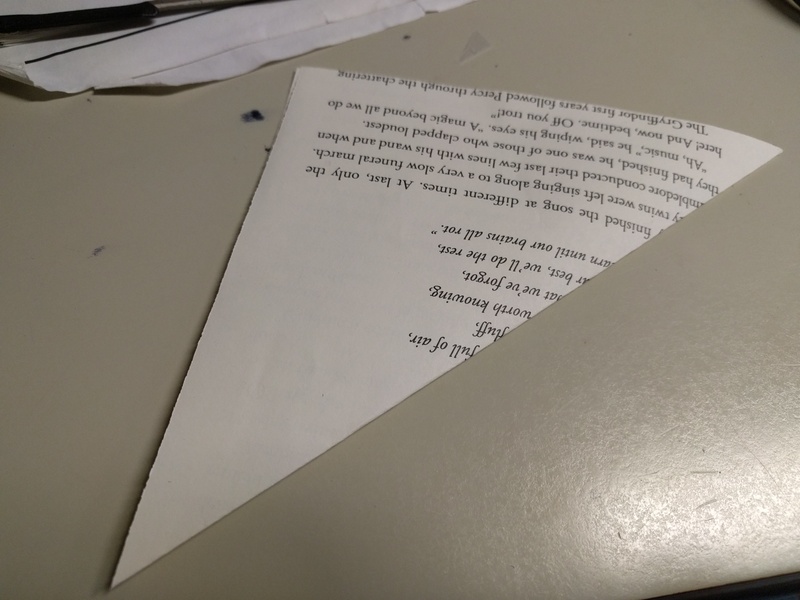 Discard everything but the triangle that is left. 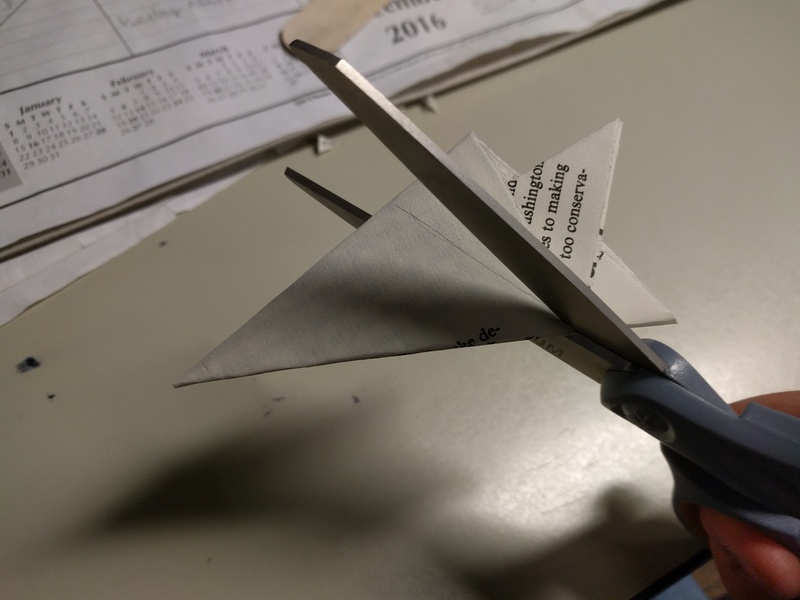 Now get creative and cut out a design. Anything goes really as long as you don’t cut all the way through. Unfold and you have your snowflake! 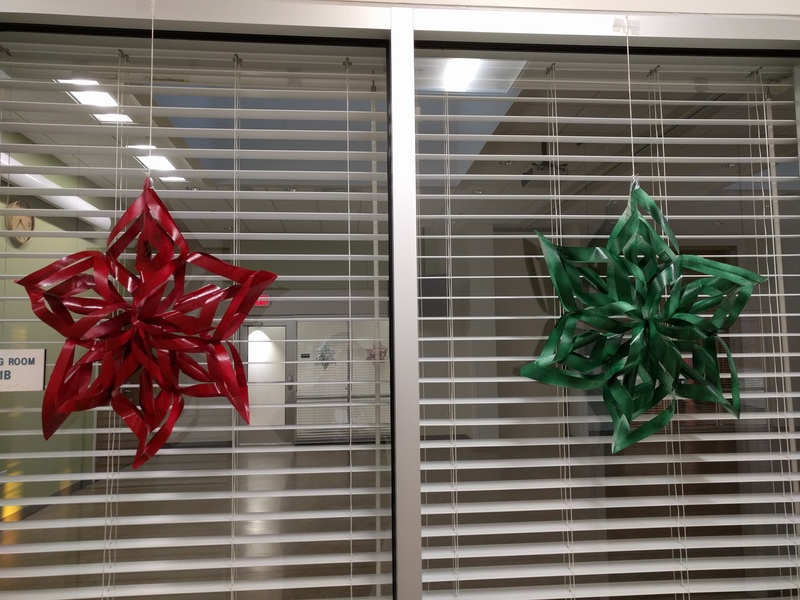 And here is one other decoration that would be great that I haven’t tried yet. 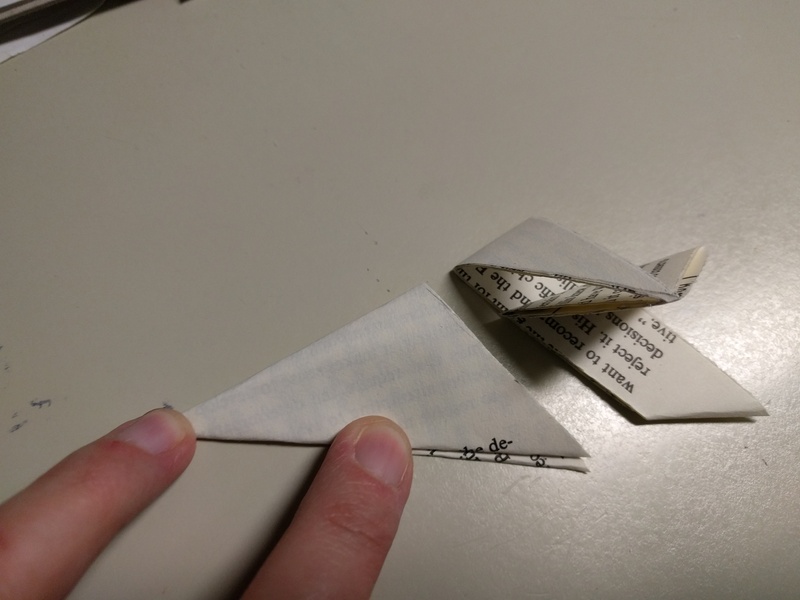 These appear to be newspaper that has been cut, folded, and spray painted. They are lovely!